If you want something as a child, you either ask your parents, grandparents, or that guy at the mall called Santa Claus. And (assuming you’ve been “good”) you’ll actually get it! Great deal, huh? Want something. Get results. Actually, the Santa Claus approach may still work . . . if you’re a CEO and have a staff of people working for you! But even in this case, you’ve already laid the foundation for the results to happen! If you are NOT a CEO or have folks doing your bidding, you must begin the manifestation process using practical approaches that involve concrete belief, thought and action. Otherwise you will not succeed. By the way . . . if you believe that magical hope or prayer, i.e., your version of “the Law of Attraction” will save you, forget it. The Law of Attraction will give you results based on what you believe inside . . . not on some fanciful idea of prosperity or theory of manifestation based on affirmations. 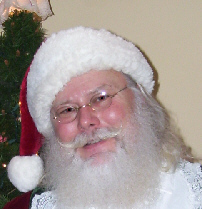 Your subconscious mind – like Santa Claus – knows when you’ve been bad or good . . so be good, for goodness sakes!! In life coaching you will often come face to face with those who still believe in Santa Claus. It will then be your job to help them see that the reason some people (like CEO’s) are able to become a CEO, is because the strength of their deepest thoughts and desires matches their actions. Bringing your client to a place where he or she can manifest thought and desire will require you to help them stay strong and focused (like the CEO) instead of where they probably are now, i.e., weak and scattered. Understanding why this is so – and how to “correct” it – is vital to any good life coaching program. 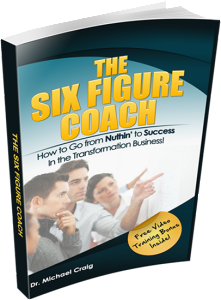 When you have this piece you can literally transform the lives of your clients. Look at it this way: if your innermost self (subconscious) is conflicted about a thought or desire, your results will be conflicted as well. However, if your Soul or true self is dynamic, strong, and clear, it naturally follows that your thoughts, desires, actions, and results will follow suit. In other words, it all comes down to who you ARE . . . not who you think you are! Manifestation has little or nothing to do with who you’d like to be, or who other people think you are – but who you truly are at the deepest level. Being your true self is the key. This is how a child functions, without limitation. And this is why a child thinks the “Santa Claus Theory” works – because everything flows naturally from Inside to Outside. As a result (and because they are cute), they usually get what they want. Congruent intentions are desires that resonate positively on all levels: mentally emotions, physically and spiritually. There comes an “inner knowing” that automatically translates into external results. Successful people naturally have (or have developed this power. Incongruent intentions, on the other hand, create errors and self-sabotage. Mixed intentions simply fight each other and waste energy, life, and results. There is no “inner knowing” since there is little connection between the real source of one’s power and the ability to express it. These folks – the vast majority of humans, by the way – stumble through life and are never able to quite “get it together”. Self-sabotage and lack of success happens when your subconscious (Inside) has a different agenda than your conscious (Outside), you simply aren’t consistent. It’s like someone trying to roll a boulder up a hill. If the conscious mind represents the one who pushes, and the boulder is your subconscious mind, you can force the boulder up the hill, but it’s just going to back down again as soon as you let go! Until you resolve whatever issue stands in the way of your subconscious mind working with your conscious mind, you won’t be able to keep that “boulder” on top! Dr. Craig has developed a great life coach training program using the very method that can correct the error cycle: The Logical Soul®. 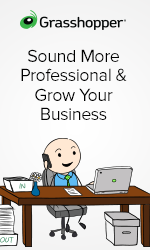 It allows you to speak directly with the subconscious, find the error, gain access and change the hidden decisions that undermine your or your client’s success. I can’t even begin to express the potential this method has had in improving my life and transforming my ability to coach others. It is, in fact, the most powerful tool for life coaches I’ve ever experienced, and all the research and practice I’ve used pales in comparison to the effectiveness of the Logical Soul® Method in getting straight to the root of the problem. 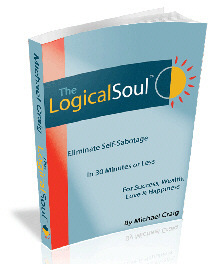 If you’d like to learn more about the Logical Soul®, start where I did . . . by getting the book by Dr. Craig. 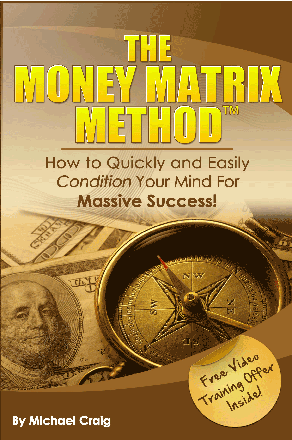 If you’d like to learn more life coach training tips, take a look at Dr. Craig’s free report! We’d love to hear your stories of success and how you overcome self-sabotage within yourself or with your clients. Share your thoughts below.